Every successful video blogger knows that two things can make any vlog outstanding. First, a great and entertaining content. Second, a good vlogging camera. Now, we know you have fantastic content to share with the world. But finding one of the best vlogging cameras that suits you, your vlogging style/content and your lifestyle might present a challenge. But don’t fret! We are here to help you out. No need to blitz to the store and check out each and every camera that they have. Who has time for that? You have amazing content to share with your audience, and that is what you should focus. Meanwhile, to save you the time and hassle, please indulge us in presenting to you ten of the oh-so-good cameras for vlogging that is out on the market today. 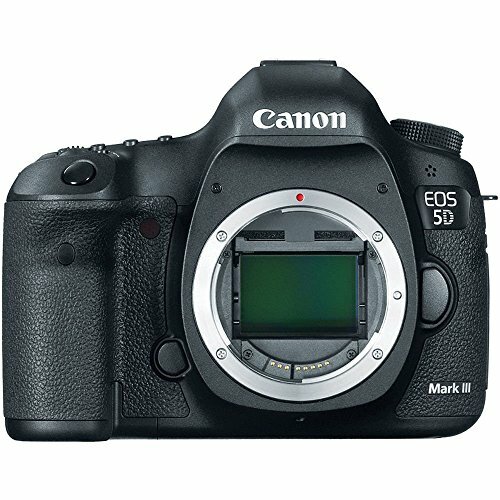 The Canon EOS 5D Mark III is deemed to be one of the good cameras for vlogging. In fact, much of the famous YouTubers today, such as Jenn Penn and CaseyNeistat, are using this camera. It is one of the best DSLRs to acquire, especially if you are thinking of stepping up the production of your video blog. This full-frame camera provides users superb low-light performance and has excellent dynamic range. Which in turn means making your captured vlog videos bright and vibrant. You get these kinds of images because it has an ISO that ranges from 100 to 25600 with a 50 – 102,800 expansion. Not only that, but it has 1080p HD video recording to make your vlogs clear and sharp. Apart from that, it has a quick and sophisticated 61-point autofocus system. Users also reported that Mark III is very responsive and precise. This “superstar” camera has long battery life and is sure not to let you down. Plus, you get to choose a wide array of lenses for this camera. Overall, this camera is a good investment if you want to provide your audience a 5-star video quality of your vlog. Canon EOS Rebel 6 is one of the Best Sellers of Amazon. This light-weight DSLR is one of the good cameras for vlogging for 2017. 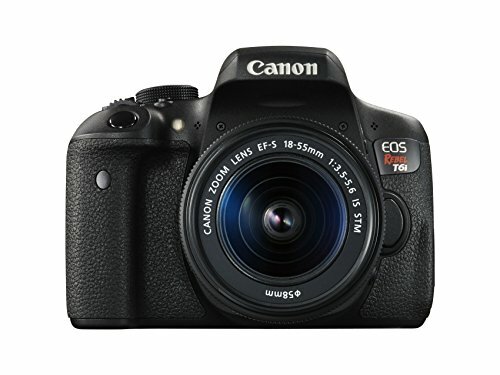 It is a successor to the popular EOS T3i & Rebel T5 models from Canon. This tiny yet mighty camera effortlessly gives your vlog excellent image quality with attractive colors that make your videos and stills seemingly alive. It is also efficient in taking multi-angle shots, whether low or high, without upsetting the quality of your video blog. The Canon EOS Rebel T6 is also known to be a budget-friendly camera. Not only that, but it also has a built-in WiFi with NFC, which helps you in your image migration from your camera to your phone with ease. It also has a 3-inch articulating touchscreen, making it even more user-friendly. If you are newbie vlogger with an eye for a light and reasonably-priced DSLR camera, then this is the good vlogging camera for you. This DSLR camera is the descendant of the remarkable Canon 70D. 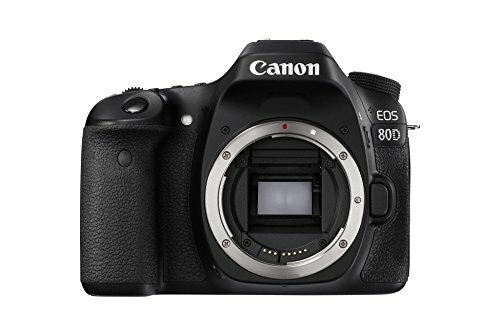 The Canon EOS 80D is known to be one of the best vlogging cameras from Canon with a flip screen. It has a vari-angle touch screen, meaning you have ways to shoot your vlog at a variety of angles, even if you are the one in front of the camera. Apart from its articulated screen, the Canon EOS 80D adapts well to any lighting condition and still can capture great images, despite the lack of light. Its face-tracking, 45-point AutoFocus feature helps you shoot your video blogs by giving you accurate and smooth images while retaining its focus on your moving subject. It also has a WiFi capability, an asset which is quite useful in this day and age. Through this WiFi feature, it enables you to remotely access your camera by connecting it to your smart device. The Canon EOS 80D also has a live view shooting feature, not to mention the Time Lapse and Slow-Mo modes of recording. This camera is ideal for both newbie and professional vloggers who like to control their cameras wirelessly. This the great predecessor of Canon EOS 80D. McJuggerNuggets and HauteBrilliance are just some of the YouTube Vlogging Pros to indicate their love for using this DSLR camera. It produces bright and clear-cut images, even if it is night time or in low light condition due to its resolution of 1080 pixels/30 fps. It also has continuous autofocus that minimizes shakes and noise. Therefore, making your shots perfect and high quality. It is also has a flip screen which allows you to see what your Canon EOS 70D is filming. Apart from these things, it also has great battery life and is WiFi capable. Ready to take your vlog to the next level? 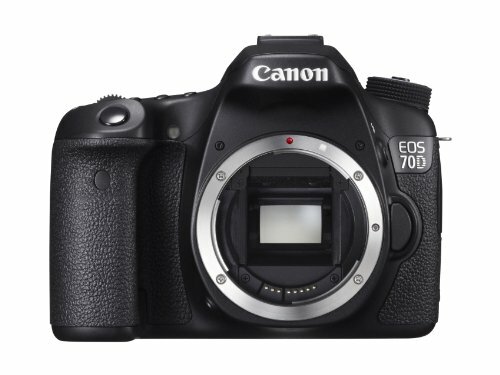 Take Canon EOS 70D and see a considerable amount of improvement of your images. 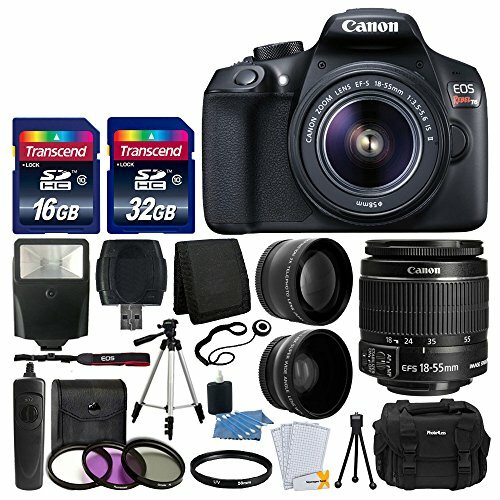 The Canon EOS Rebel T6i, sometimes called the Canon 750D, is one of the best vlogging cameras that are a favorite choice of many established YouTubers of today. The likes of LaurDIY, Kingsley, and Grace Helbig have been using this DSLR model for years. With T6i, it can make your vlog channel look very professional. It promises to provide your moving and still images with excellent color and sharpness as it boasts of a 1280 x 720 High Definition video recording at 60 fps. Added to this, it has a 19-point autofocus system if you want a precise recording. Plus it has an external microphone port, and you’ll be able to change the lenses that would suit the look of your video content. Not only that, but this camera is known to be the cheapest video DSLR in the market today. The Rebel T6i is best for both beginner and advanced vloggers who record their vlogs inside their homes most of the time. It is also for the vlogger who is budget conscious, yet wants high-quality video content through a DSLR camera. 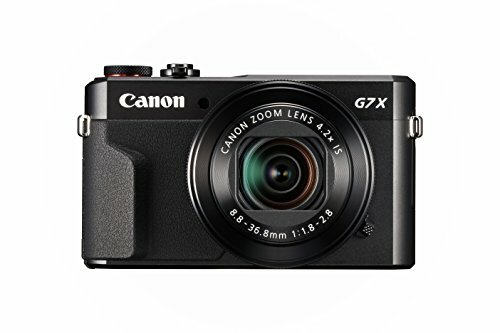 The Canon PowerShot G7X is among the good cameras for vlogging that is available on the market today. The G7X is one of the popular choices of video bloggers right now because it is guaranteed to give you high-quality raw videos. It records 1080 pixels (HD) and takes 20.2 megapixels images, even if it is a light-weight, compact camera. It is also one of the Canon vlog cameras with touch display-controlled 3” flip screen and with a handy WiFi feature. This compact camera has a front-facing microphone that makes it easier to catch your voice. then G7X is a good vlogging camera for you. 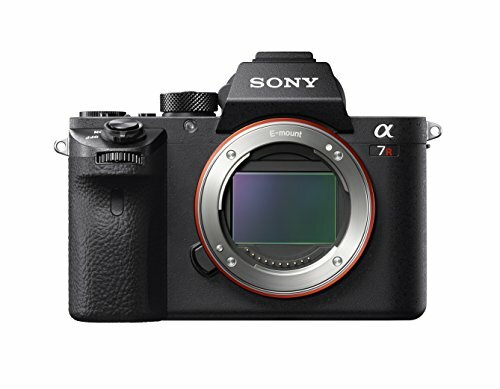 If you are the type of vlogger who offers a lot of creative content for your audience, the chances are that the Sony A7RII would likely be your best friend. This camera happens to be the world’s first camera with a fully framed, back-illuminated Exmor R CMOS sensor. That means that you always get superb, DSLR-like photos and videos even when it is being shot in a poorly lit room. 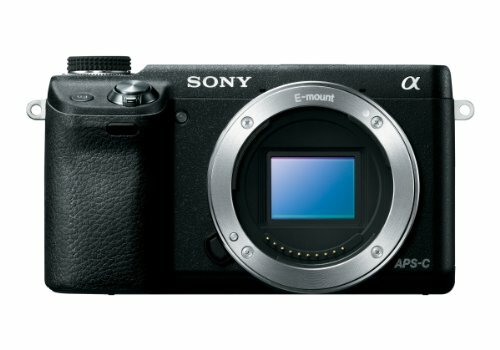 This mirrorless camera offers vloggers amazing specs like 4k recording, high dynamic range, and excellent autofocus. Plus, you can use your Canon lenses with this type of camera. The Sony a7R II is the best camera for vloggers who have makeup/fashion and traveling for its content. It shoots like a DSLR but without the bulkiness. 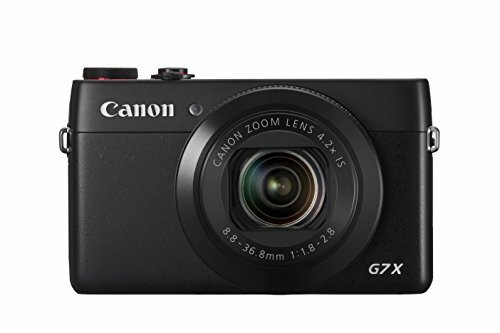 Another one of the popular camera choices of established YouTubers is the Canon Powershot G7 X Mark II. This is one of the canon vlog cameras that are considered to be one of 2017’s best vlogging cameras. This model has a flip-up screen, amazing autofocus and quick responsiveness. Just like the previous G7x, it has the same lens (Optical Image Stabilization). Improved Battery life and ergonomics. 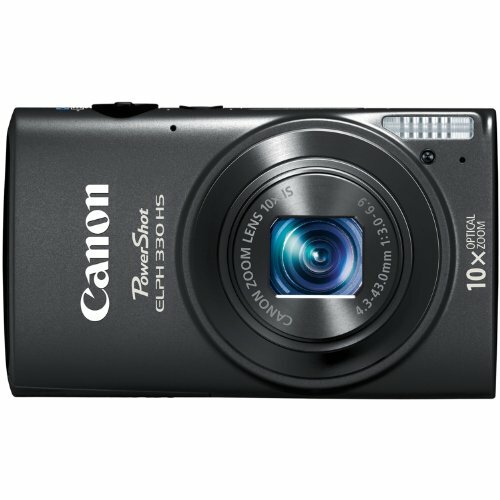 This compact camera is good for video bloggers who want a camera that is small enough to be portable. This camera is great for ones who are looking for high-quality and not shaky images when they record their far travels or simply a walk in the park. Sony NEX-6/B might be the right camera for you. This mirrorless camera has a high ISO range. This camera has a WiFi enabled, smart software along with articulated LCD screen. Users enjoy its downloadable apps such as time-lapse or remote control apps. The SONY NEX-6/B is user-friendly, making vlogging easier, more efficient and more professional, even for a first timer. ECO Mode reduces power consumption so you can shoot longer on a single charge; The Battery charger is included in the box. This camera is considered to be one of the best point and shoot cameras for vlogging, the Canon Powershot ELPH 330 is the favorite of anyone who is starting out in the world of vlogging. It is a favorite to many vlogging newbies out there because of its features and its price. This budget-friendly camera has a 1080p30 video resolution, recording your vlogs at HD quality. Plus, even if it is at low-light, you are sure that your video blogs are still great. Apart from this, it has an OIS or Optical Image Stabilization feature. This means that the Canon PowerShot ELPH 330 helps you record your vlogs without getting a wobbly image, even if you are on the move. Not to mention, it is also WiFi enabled and is very portable. The Canon Powershot ELPH 330 is the perfect camera for you if you are new to the whole world of vlogging and don’t know where to start. From there, as your techniques in video blog making and your content quality increases, you’ll get to explore more possibilities in taking your vlog presentation higher. Here is our stop of our little presentation to you: our ten best vlogging cameras in 2017. We believe this article helped in your search to owning the camera that suits you and your vlog content. As you journey on to the world of vlogging, may you have more and more success to your life and your vlog.